Wined Up! 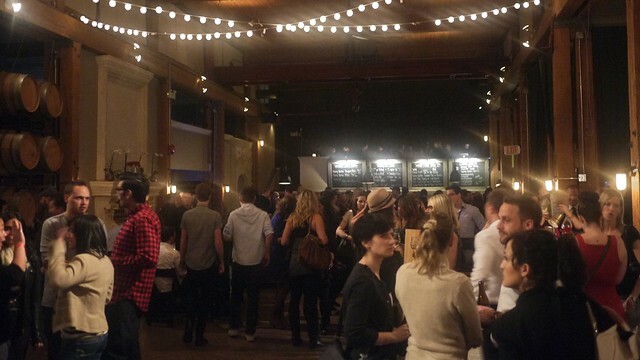 wine and trade industry mixer at Vancouver Urban Winery in Railtown on March 1, 2013. 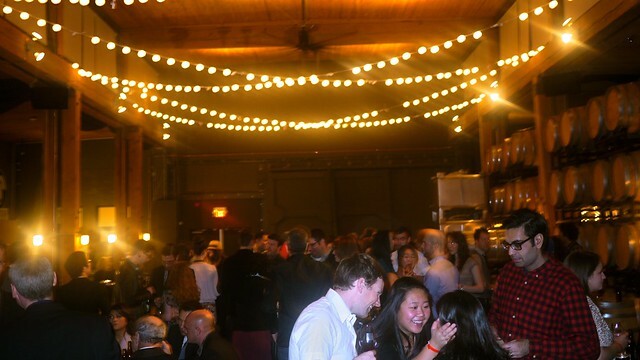 To celebrate the Vancouver International Wine Festival, VUW threw an open bar shindig for the city's industry professionals and wine lovers alike. 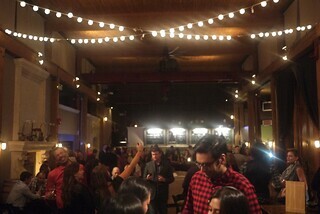 It was a great showcase of the winery, celebrating its first anniversary in business and many accolades. 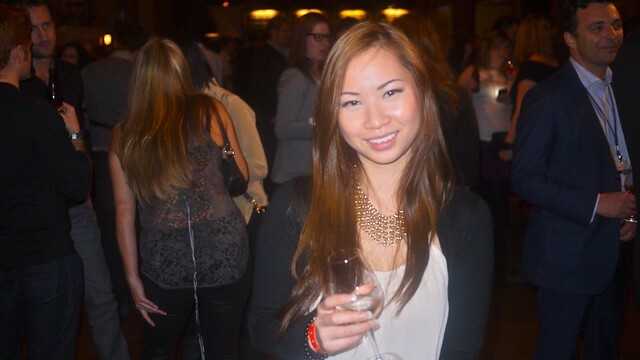 My lovely cousin Angelica tagged along and was overwhelmed by the venue and its hidden charm. Aside from the wines on tap (like Blasted Church and VUW's own Roaring Twenties), the crowd enjoyed some refreshing Parallel 49 beers and Maker's Mark whisky cocktails. As you can probably tell by the atrocious quality of the photos, I (along with half of Vancouver) was far too busy having a good time to properly document the night's festivities. Be sure to visit the winery for a tasting yourself.